A Bring your Kids to Work Day, or Family Picnic Day can have many benefits for your workplace and for families. Kids get a chance to see what working life is like, and see where mum or dad spends their day. It’s a special bonding time for parents and their children, and a chance for colleagues to get to know each other better. It’s a special way to show staff your company is genuinely committed to a positive work environment that truly values family and social life. Without organised children’s party entertainment, bored kids can end up playing Minecraft on the company computers or get to work photocopying their faces. 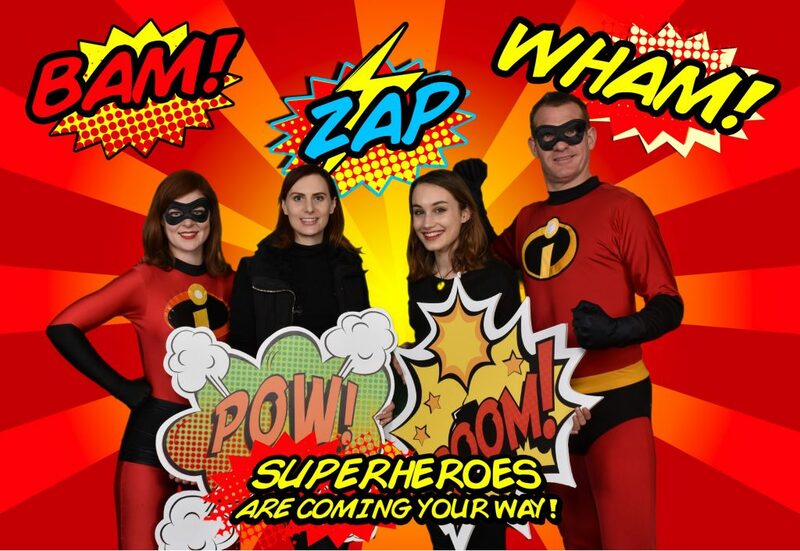 Superheroes Inc will come to the rescue with family-friendly entertainment options for Sydney corporate events and offices. Our kids event entertainment packages are tailor-made for your event and location. We can cater for toddlers to tweens, and will keep both boys and girls engaged from beginning to end. Our children’s party entertainers range from magicians, to dancers, to superheroes and princesses and beyond. We’ll work with you to put together the perfect package for your unique event. Our beautifully costumed kids party entertainers will put on a first-rate show and lead the audience in fun activities. They know when and how to keep things low key or amp the energy. All the options covered for BYKTWD! 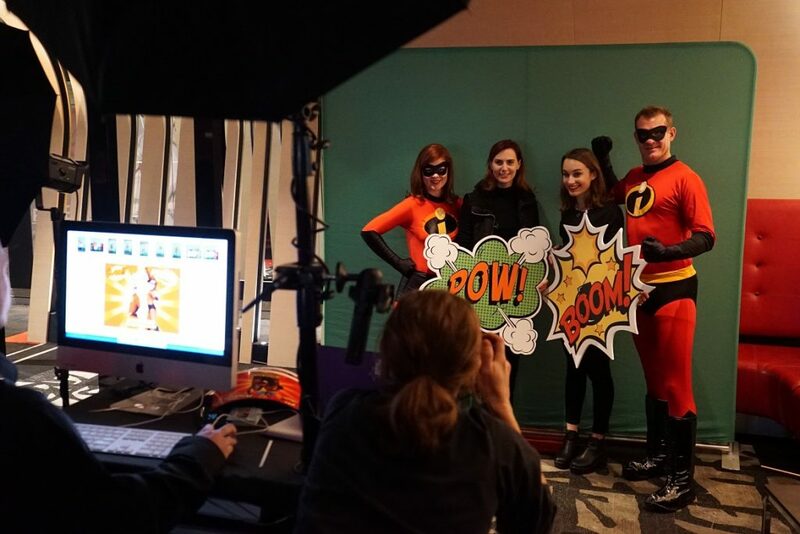 Superheroes Inc makes corporate events like Bring Your Kid to Work Day a breeze. From the props to the people, our entertainment packages are stress free and super fun! Our entertainers love kids. And they know how to deal with the tired and emotional, or those with a little too much energy (or sugar) in their systems. Plus, our entire team have their Working With Children Check the NSW Office of the Children’s Guardian (WWCC) and are fully insured, so you’re in safe hands. Superheroes has been bringing the best kids party entertainment to Sydney since 2002, and have performed at over 20,000 events. Learn to be just like your hero with our Character Workshop! 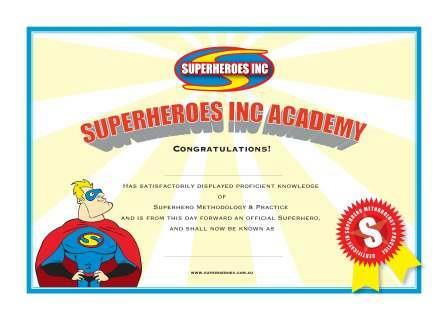 All training participants will receive the anazing Superhero Inc Academy Training Certificat!. To be incorporated with roaming character activities. All fairy/princess training participants will also receive a fairy wand or sceptre (balloon wand).